Prominent & Leading Wholesale Trader from Mumbai, we offer tp-link tl-wr840n wireless router, d-link dir 615 black wireless router, d link n300 adsl2 router and tp 8961 link router. 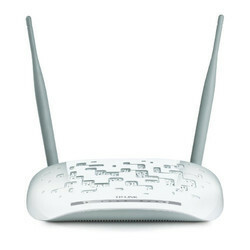 The 300Mbps Wireless N Router TL-WR840N is a combined wired/wireless network connection device designed specifically for small business and home ofice networking requirements. The TL-WR840N creates an exceptional and advanced wireless performance, making it ideal for streaming HD video, VoIP and online gaming. Also, Wi-Fi Protected Setup (WPS) button on the sleek and fashionable exterior ensures WPA2 encryptions, preventing the network from outside intrusions. 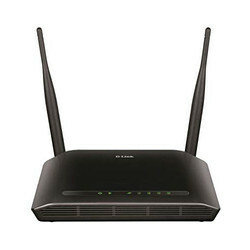 The DSL-2750U Wireless N300 ADSL2+ Modem Router is a versatile, high-performance router for home and the small office. With integrated ADSL2/2+ supporting download speeds up to 24 Mbps, firewall protection, Quality of Service (QoS), 802.11n wireless LAN, and 4 Ethernet switch ports, the DSL-275OU provides all the functions that a home or small office needs to establish a secure and high-speed link to the Internet. You can even share your mobile Internet connection when on the road by connecting a compatible 3G/4G USB adapter. 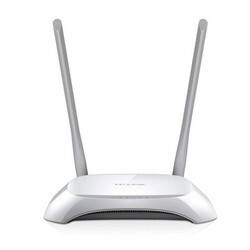 TP-LINK's Wireless N ADSL2+ Modem Router TD-W8961ND is an All-in-One device that combines the functions of a high speed. ADSL modem, a 4-Port 10/100Mbps NAT Router and a Wireless N Access point. It is designed to give you an one-stop solution to acquiring and sharing high speed Internet access over a wired/wireless network. Supporting the latest ADSL2+ standards, the TD-W8961ND brings with it much higher speed than a dial-up connection without tying up the phone line. Besides, Easy Setup Assistant with multi-language support provides quick & hassle free installation. The TD-W8961ND provides high-speed, unrivaled wireless performance for your network at 300Mbps. Now you can enjoy more kinds of bandwidth consuming applications even like HD video streaming wirelessly. Along with the features of Dual. Firewalls (NAT and SPI), QoS engine and TR-069, making TD-W8961ND the perfect choice for home or small office users.